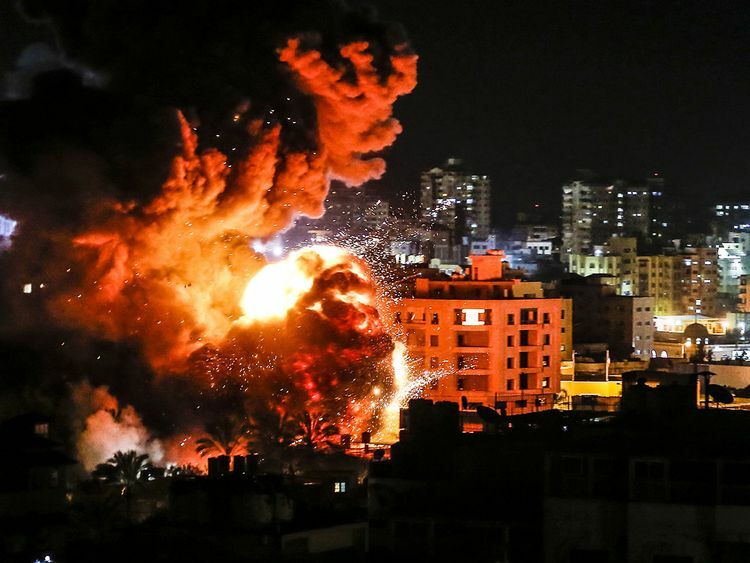 Occupied Jerusalem - Israeli aircraft bombed targets across the Gaza Strip and Gaza militants fired rockets into Israel early Tuesday, the second day of cross-border fighting. In response, Israeli Prime Minister Benjamin Netanyahu said he would cut short a visit to Washington, Israel sent troop reinforcements to the Gaza border and Hamas leaders went into hiding - signals that both sides are heading into perhaps the most serious confrontation since a 2014 Israel-Hamas war. Maj. Mika Lifshitz, a military spokeswoman, said it was a self-manufactured rocket with a range of 120 kilometers , making it one of the deepest strikes ever carried out by Hamas.